It is very important that we as a society have HIPAA in order to make sure we are safe. They don’t just make sure that doctors and dentist’s offices are clean and functional, they also make sure that your records are secure. HIPAA stands for the Health Insurance Portability and Accountability Act which was a law that was passed by Congress in 1996. There are certain guidelines that a medical office must follow in order to make sure that all of your confidential information doesn’t get lost or stolen. One of the most important guidelines that HIPAA requires in regards to medical records, is their disposal policy. When disposing of medical records it is very important to make sure that there is no information left for someone to steal. With as big of an issue as identity theft is these days, I for one am glad that there are rules in place for medical records I don’t have control of. The best and only functional way to dispose of medical records once they have been sent to a new doctor, or retained for however long your state requires, is to shred them. This way you know that there is no way that anyone could take any information off of the documents. Up until it is time to dispose of the records, it is also very important that they are taken care of. 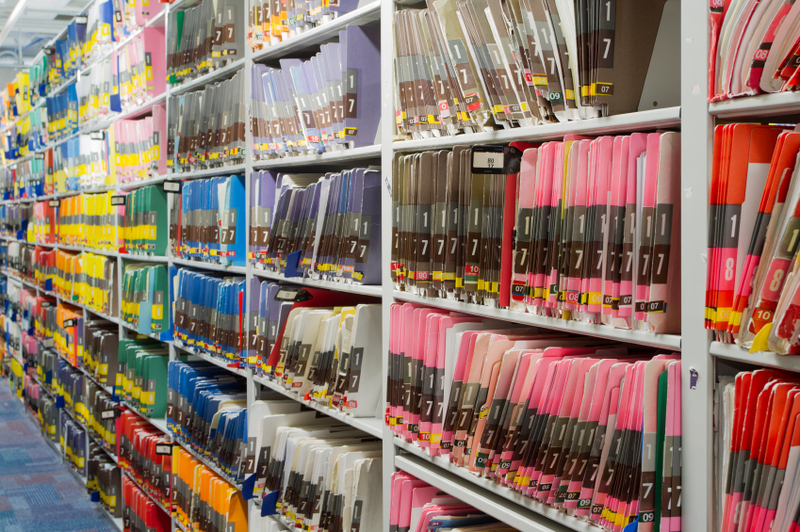 When a medical office maintains important documents they must make sure that all records are protected in any and every way possible. This is a requirement through HIPAA as well. Even if it is hard to understand HIPAA sometimes, just know that they are here to protect our information and our privacy as best as they can. Get Free, No-Hassle Quotes on HIPAA Compliant Medical Records Scanning and Storage Services Today! Our pre-screened network of scanning providers will swiftly, accurately and securely convert your patient records into digital images. These images may then be stored onto CDs or a secure server. Our medical records imaging professionals can also import your records into an Electronic Medical Records System (EMR). This is the part of the process that will help you turn your practice paperless.